This solid 2-in-1 convertible is already value-packed at its MSRP—so at $500, it's a steal. If all you need is a portable laptop that’ll easily handle streaming video, browsing the web, and chatting on Skype, you’re in luck. 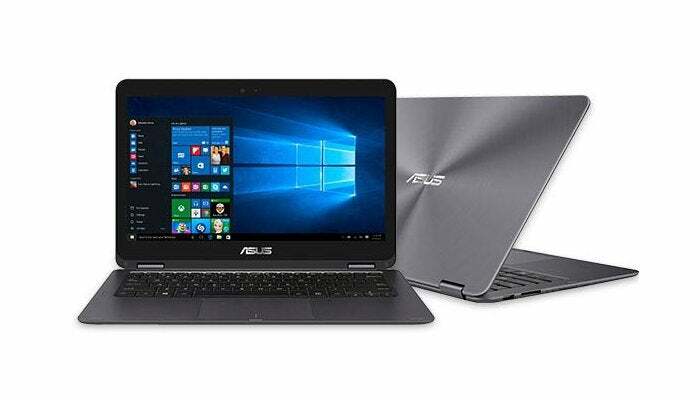 Right now, the Microsoft Store is offering the 256GB version of the Asus ZenBook Flip for just $500. This price matches the lowest we’ve seen for this 13.3-inch 2-in-1 convertible, and currently undercuts third-party sellers on Newegg and Amazon (who offer this same model for $575) as well as Asus’ own store ($600).In addition to the $200 savings, you get the Microsoft Store Signature Edition of the Flip: meaning very little, if any, preinstalled bloatware. Despite what you might expect from its modest Core m3-6Y30 processor, the ZenBook Flip should run everyday tasks smoothly. The model we reviewed is virtually identical to this sale version, save for our model's 512GB SSD; it handled web browsing, document editing, video streaming, and Skype chats like a champ. You get quite a bit for the price, too: a 13.3-inch IPS 1080p touchscreen, 8GB of RAM, support for 802.11ac Wi-Fi, and a 54 watt-hour battery. There’s also a well-rounded port selection that includes both USB-A and USB-C, and the machine is pretty trim at 2.8 pounds and a half-inch thick. 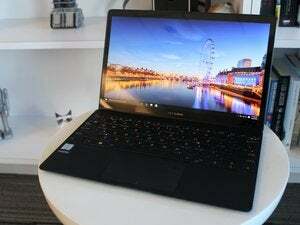 Bottom line: This ZenBook Flip is well worth the $500 price tag.